KUALA LUMPUR: National Education Fund Corporation (PTPTN) chairman Wan Saiful Wan Jan is adamant about going ahead with salary garnishment plan, but will consider appeals by borrowers. He said this on the heels of the barrage of feedback from various quarters on the proposed scheduled salary deduction (PGB) for PTPTN loan repayments beginning January next year. 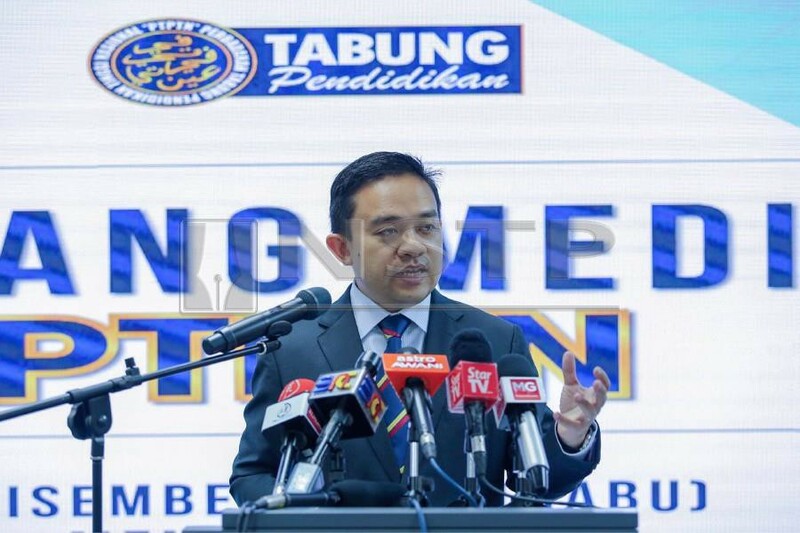 Wan Saiful said PTPTN would still be going ahead with its plan to implement the scheme by taking into account the law including the PTPTN Act 1997 and the agreement between the borrower and the agency. He said the new policy was to ensure that PTPTN would continue to help future generations get the funding to pursue their studies at higher learning institutions. "I acknowledge the views and suggestions following the announcement of the implementation of the scheme. I hear their grievances and I am ready to consider the appeal of those who need special consideration. "Some people said the PGB mechanism violated the signed loan agreement. I would like to state here that under the signed agreement, the borrower agrees to fulfill a repayment plan in accordance with any chosen scheme set by PTPTN, including salary deductions by the employers. "Some commented on the employer’s authority to make such deduction. Under Section 29 of the PTPTN Act 1997, PTPTN has the authority to allow employers to make salary deductions for the borrowers. These are the provisions in the law. "The government has the option of giving priority to today's borrowers or ensuring PTPTN's sustainability so that millions of children today will have enough funds to study at institutes of higher learning (IPT) in the future. "This is not an easy decision because it involves two groups with different needs. The government's decision is to ensure that PTPTN is sustainable for the benefit of our children,” he said in a statement today. Yesterday, PTPTN announced that borrowers earning more than RM2,000 a month were required to service their loans through scheduled salary deduction (PGB) this January. The scheme will emulate the Inland Revenue Board's (IRB) monthly tax deduction (PCB) system in which PTPTN will be in direct contact with employers who will then be responsible for mandatory salary deductions. Through the scheme, PTPTN will issue a directive to employers to carry out the deductions according to the percentage set in the PGB scheme. The PTPTN announcement received a brickbats from the public and the borrowers who claimed that the employers had no right to deduct their employees' wages to pay for PTPTN as there was no law to allow this without prior consent of the employees. PKR president Datuk Seri Anwar Ibrahim and several lawmakers also requested for scheme the to be reviewed.